There is a considerable body of evidence which shows that women can encounter structural barriers to their progression in the SET professions – the glass (or sometimes concrete) ceiling. There is also evidence which points to the ‘sticky floors’ that can prevent women from making the most of their skills, knowledge and abilities – these are more internal barriers which can hold women back. 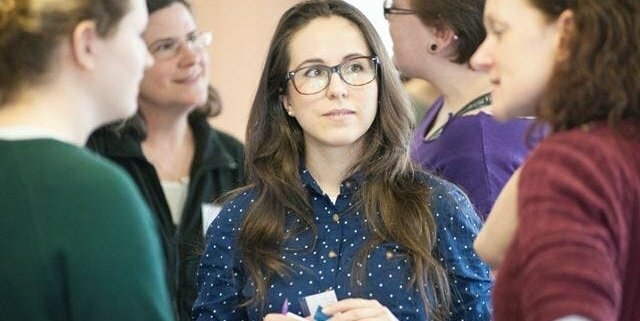 Engage in an “Appreciative Inquiry” about yourself – identifying more clearly the unique contribution you can make in work and other settings. Examine your abilities and leadership potential in the context of what research shows we really want from our leaders/managers. Think more deeply about your own priorities for the coming year – using the GROW coaching model. Develop two key recommendations about tackling the structural barriers in your industry and hear about ways we are working with employers to take this on.